Just when you thought telling your kids not to eat laundry detergent was the dumbest thing you’d have to do this year, it’s time for the terribly named “24 Hour Challenge.” According to U.K. police, this particularly inane social media challenge “encourages members of the public, particularly youngsters, to hide and build forts in large stores and warehouses overnight, before sneaking out the next morning.” Though, by all accounts, these stunts seem to specifically take place in IKEA. Police were forced to issue this warning after 11-year-old Kaden Mirza was reported missing earlier this week. Mirza miraculously reappeared the next day, having spent the night in a Swedish furniture retailer, presumably for likes and retweets. Both Mirza’s family and the local authorities made public statements warning other parents about this very dumb trend, which is not only potentially dangerous for the kids involved, but, as we said, very dumb. 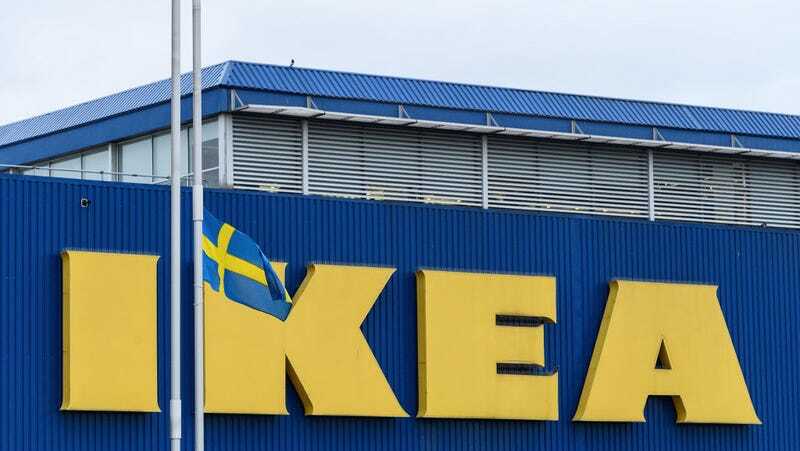 Sadly, this isn’t the first time overnight pranksters have plagued European IKEA locations. The first rash of incidents started back in the fall of 2016 after a pair of Belgian YouTubers posted their sweet sleepover prank online. That video currently has over 3 million views. Local police are dealing with the latest resurgence of this internet fad by working in their communities to raise awareness and asking parents to talk with their kids about the dangers of these stunts. Because, as we all know, nothing stops a kid from doing what they’re not supposed to like their parents telling them it’s not cool.